The 2004 Law Enforcement Officers Safety Act - referred to shorthand as LEOSA - mandates that all states recognize the right of law enforcement personnel to carry their firearm on their person. This means a law enforcement officer can lawfully carry in any state, effectively establishing national reciprocity for LEOs. With America’s political climate leaning heavily conservative in the wake of the recent election, national reciprocity has become an even greater priority for some conservatives and certainly for gun rights advocates. Whether this legal initiative — highly called for by the National Rifle Association and President Donald Trump — establishes concealed carry rights between all states and U.S. territories remains to be seen. However, LEOSA provides something of a case study on how that might work. Granted its language is nebulous, narrow and non-inclusive outside qualified active and retired LEOs, it does serve as a precursor to the now possible reality of national interstate concealed carry reciprocity laws. The Act, however, is confusing, broad and twice-amended. The Law Enforcement Officers Safety Act (LEOSA) of 2004 is also known as H.R. 218, a legal movement in 2004 intended to amend Title 18 of the U.S. Code to exempt qualifying active and retired police officers from state laws prohibiting concealed carry. Basically with the right identification, experience and legal steps taken, some active and retired law enforcement officers may carry in any jurisdiction of the U.S. with some exceptions, which will be expanded on in a moment. Despite H.R. 218 being the common referral, the law was initially put into place under Public Law 108-277. It’s housed under 18 U.S. Code § 926B and 18 U.S. Code § 926C. There have been two amendments — one under the Law Enforcement Officers Safety Act Improvements Act of 2010 and another under the National Defense Authorization Act for Fiscal Year 2013 built in 2013 under Public Law 112-239. That’s a lot of legal speak. To trim the fat, some interpretations changed, some language is broad and there’s a lot of obfuscation about particulars. This may translate to any potential future national interstate right-to-carry reciprocity legislation and it would do the firearms industry and gun-owning public well to circumvent this issue. History is a means of improving future actions by analyzing past wrongs. What went wrong with LEOSA, a quasi-national-reciprocity effort for LEOs? It’s a perfectly acceptable and celebrated act that extends more gun rights to a demographic that, on paper, has intensive and honed training on how to carry and effectively use a deadly weapon. It’s mentioned on many concealed carry permit informational materials and websites, whether hosted by a state government or through reputable firearms rights informational outlets. Forbid firearms on state and local government property, installations, buildings, bases or parks. So where is the confusion with LEOSA? Seems pretty straightforward, right? A few of the popularly written about issues get down to who qualifies, how are they identified once they do qualify and how this whole concept has been interpreted in the courts. 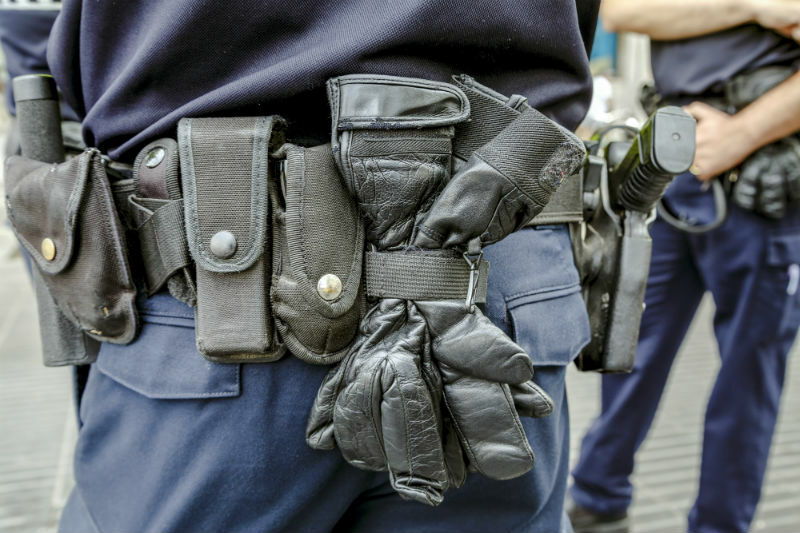 During the past 12 months (meaning the qualification is on a yearly basis), they must have met their respective state’s standards for training and qualification for LEOs to carry guns. They must not be under the influence of alcohol or controlled substances. They must also have the right to receive a firearm under federal law. Qualification also extends to those with an aggregate of 10+ years of service as an active, reserve, auxiliary or volunteer LEO, also those in the military and Department of Defense police and LEOs. The LEOSA act also applies to those in the Amtrak Police Department, the Federal Reserve and those in the executive branch of the federal government. Beyond qualification, the appropriate photographic identification must be carried — an active LEO ID for QLEOs or an active ID issued by the agency by which the QRLEO is qualified under. This summary is simplified, however, and there are more tangential pieces of information both under the identification cards and the qualifications of LEOSA participants. The outlined “firearms” allowed for the respectively recognized and qualified officers do not include machine guns, any firearm silencer or any destructive device outlined in 18 U.S. Code § 921 (a) (4). At the risk of sounding too abstract or connecting the dots where none actually lie, this is a great case study as to how national reciprocity should be approached, clarified, understood and implemented. Why does the LEOSA act matter when drafting future national CCW reciprocity legislation? CCW reciprocity is a means of aligning multiple states’ interpretations of gun rights and control measures and creating a web of interconnected legal infrastructure that allows the average law-abiding citizen to concealed carry across state lines, as opposed to law enforcement such as those covered by the LEOSA act. The issue of creating a national standard isn’t that the spectrum of gun control intensity differs broadly from, for example, restrictive California to constitutional carry-defining Vermont, it’s that in general state laws are a matter of public interpretation similar to an eyeglass prescription. 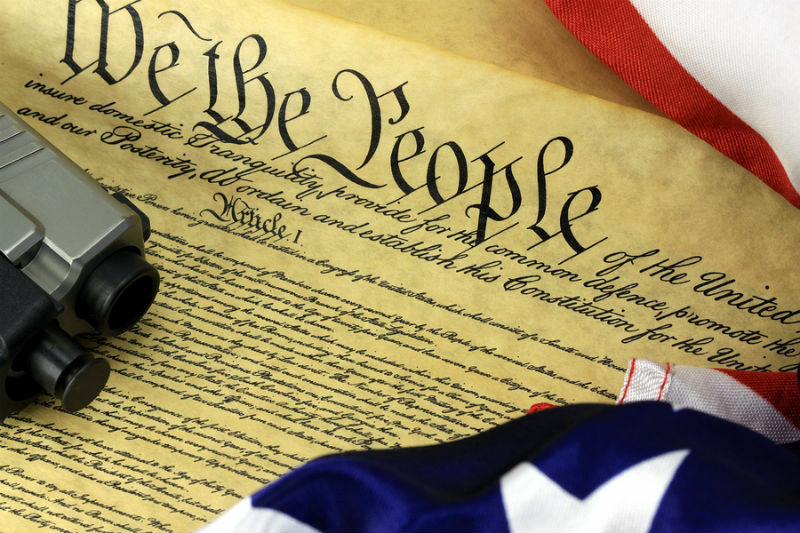 Establishing a federal, national, interstate concealed carry policy is like taking fifty different sets of eyes (if the other territories are taken out of the equation) and trying to make them all be able to see through one pair of eyeglasses. Theoretically and figuratively, federal gun legislation can be a means of laser eye surgery that realigns all state viewpoints, aligning a country-wide vision of gun rights and acceptance — though many could be concerned with government oversight and connection to state law and intentions. Understandably so, and that’s a valid viewpoint. However, LEOSA sets a standard for blurred and esoteric interpretation of a well-intended law. There is still some misunderstanding about how it works. Some people give wrong or uncited information about how it works. It had to be amended and interpreted multiple times. From a basic viewpoint, it makes sense and is totally understandable, but once the particulars are brought into focus there is a degree of misunderstanding as to who qualifies, how and to what extent the broad terminology is placed under the respective public agency’s definition as opposed to a universal, legal definition. Moving forward with a new national concealed carry measurement means understanding the pitfalls of the past. None of this is intended to be foreboding or unaccepting of either LEOSA or national interstate concealed carry reciprocity policies, but rather that in order for gun rights to evolve they must eschew the incongruences of prior laws, acts and policies. LEOSA was a marginal success, with time. Moving away from state-by-state reciprocity agreements and toward a national interstate gun reciprocity standard in the future can be an intersection of legal, safe and responsible interpretations of already established Second Amendment rights. There just needs to be clarity and unity in the law books and within the public, which at the end of the day is easier said than done.